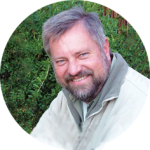 As a native to Johannesburg, South Africa, Diederik is a professional safari guide with over 20 years’ experience of leading tours and safaris in Southern Africa. He has taken clients on everything from walking safaris to coach tours to camping safaris. He is a qualified National Guide in South Africa and has qualified as a guide for Swaziland. In addition Diederik is registered as a Level 3 Safari Guide with the Field Guide Association of South Africa.